Keen gardeners or anyone else looking for a helping hand cultivate their green fingers, might be interested in a new smart garden system called Edyn which has launched over on the Kickstarter crowd funding website this week. 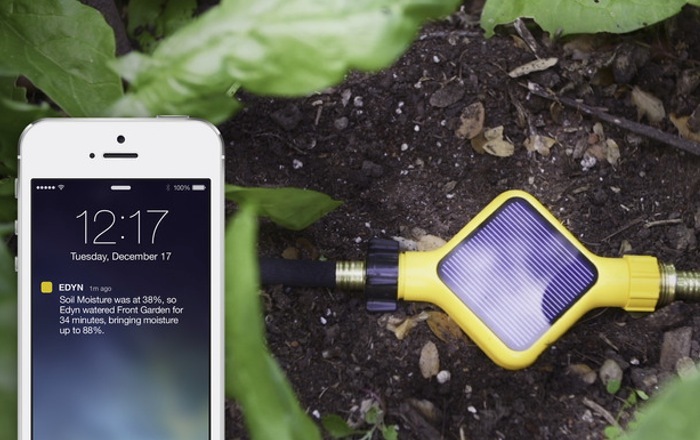 The Edyn smart garden system consists of solar powered sensors that are able to send data to your smartphone companion application enabling you to see the state of your garden soil. The Edyn smart garden system is capable of measuring ambient temperature, humidity, light intensity and soil electrical conductivity and the Edyn App reports soil nutrition, moisture, light and temperature, providing you with a clear and concise snapshot of your garden. Check out the promotional video below to learn more about this innovative garden care system. “The Edyn smart garden system lets you know what’s happening in your garden at all times. Whether you’re a novice gardener or managing a small-scale organic farm, Edyn is there to take the guesswork out of gardening. 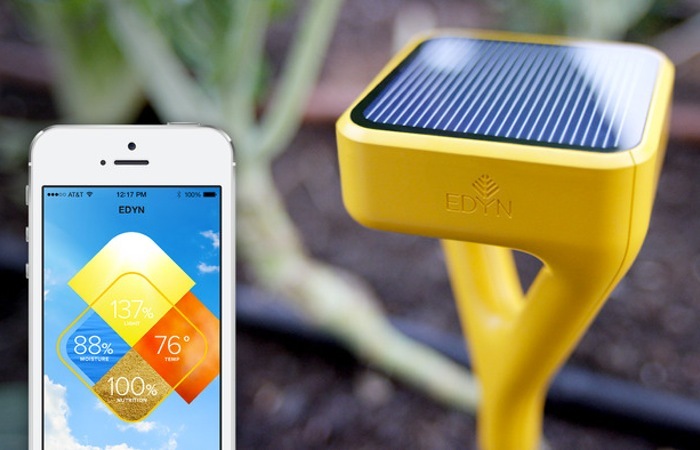 Inserted in the soil, the Edyn Garden Sensor gathers and analyzes data about changing weather and soil conditions. So if you think the Edyn smart garden system is something your garden could benefit from, visit the Kickstarter website now to make a pledge and help Edyn become a reality.